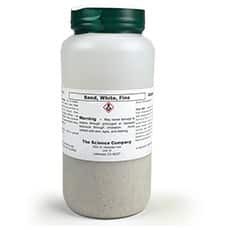 Fine White Sand (silicon dioxide) for Chromatography, 500g for sale. Buy from The Science Company. 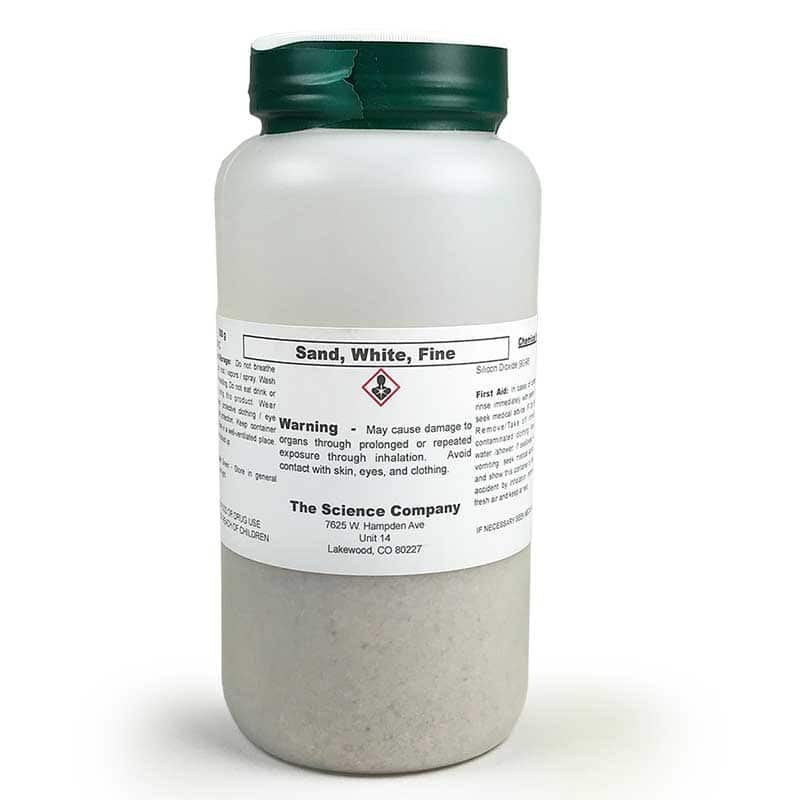 This sand (or silicon dioxide) is meant for use in column chromatography to help ensure a level silica gel line at the top and bottom of the column. When you pour solvent into the column, it only disturbs the sand layer, and leaves the silica gel layer intact.